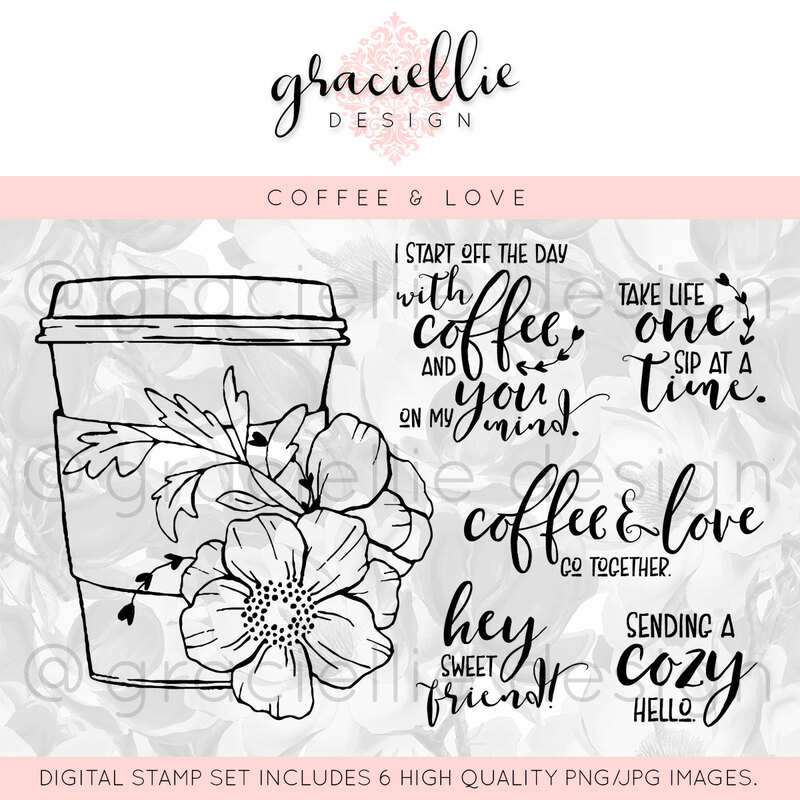 Today I'm sharing a coffee themed card I created using spring pastels and Gracielle's Coffee & Love Digital Stamp Set. I printed my coffee cup on watercolor paper and colored it with prismacolor pencils. To create a 3-D flower, I printed two extra flowers (one slightly smaller) and adhered them over the the original design with a pretty pearl in the center. This is beautiful! 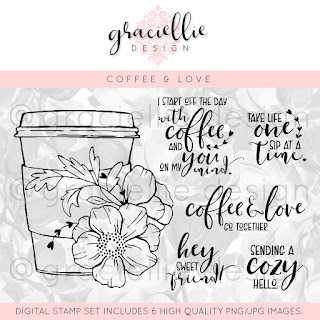 I've never had any Gracielle Designs products - would LOVE to win!!! Will have to check it out. Thanks for sharing! What a gorgeous take on the inspiration photo! Love this design! 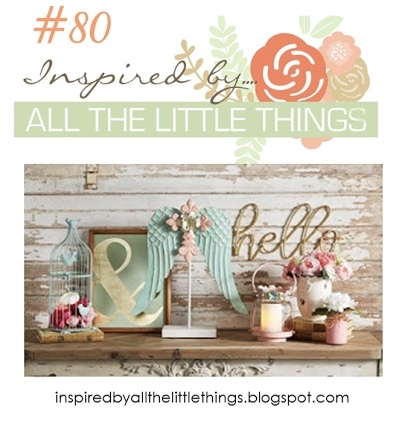 So glad you joined us at Inspired By All The Little Things! A lovely creation in those pretty colours, many thanks for joining in with our 'Handmade Flowers' theme at Allsorts this week. Love how soft & feminine this card is, Esther--beautiful! Oh this coffee card is beautiful in these soft colors. 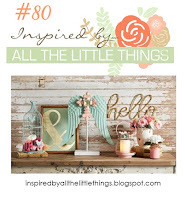 Thanks for joining us at InSpired by all the little things. such pretty pastels, lovely flower and pretty embossed background! This is ever so lovely and feminine! I like the pearl you added to the flowers center, it mimics the polka dots. The inside of your card is fabulous too! Beautiful take on the inspiration photo..so soft and elegant! Thank you for playing along!